In light of worsening drought conditions and the UC Davis Arboretum and Public Garden’s leadership role in helping homeowners conserve water in their landscapes, the Governor’s office requested our presence at the California Day of Preparedness Event on Saturday, September 6 in Old Sacramento. Taylor Lewis, horticulturist and nursery manager, together with Haven Kiers, special projects manager and lecturer for the campus’s landscape architecture program, will represent the UC Davis Arboretum and Public Garden at this event to provide attendees with resources to “waterwise” their landscapes. Haven specializes in green roof design and has spent nearly 10 years teaching students about green roofs and other sustainable design practices including living walls and urban agriculture. 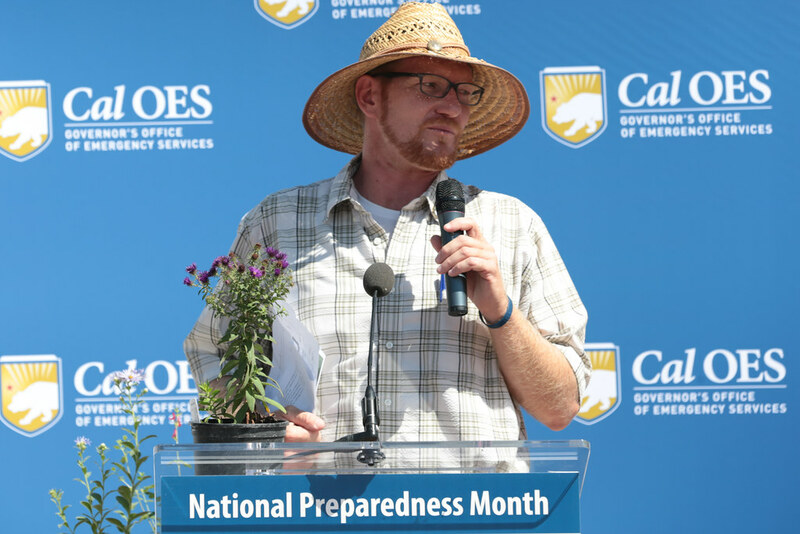 The California Day of Preparedness event featured interactive demonstrations and dynamic displays by dozens of state, local, and federal agencies.